Time delay circuit board ensures generator voltage is at a stable level before transfer occurs. Easy to remove protective cover with wiring schematic inside. Metal enclosure for extra safety. 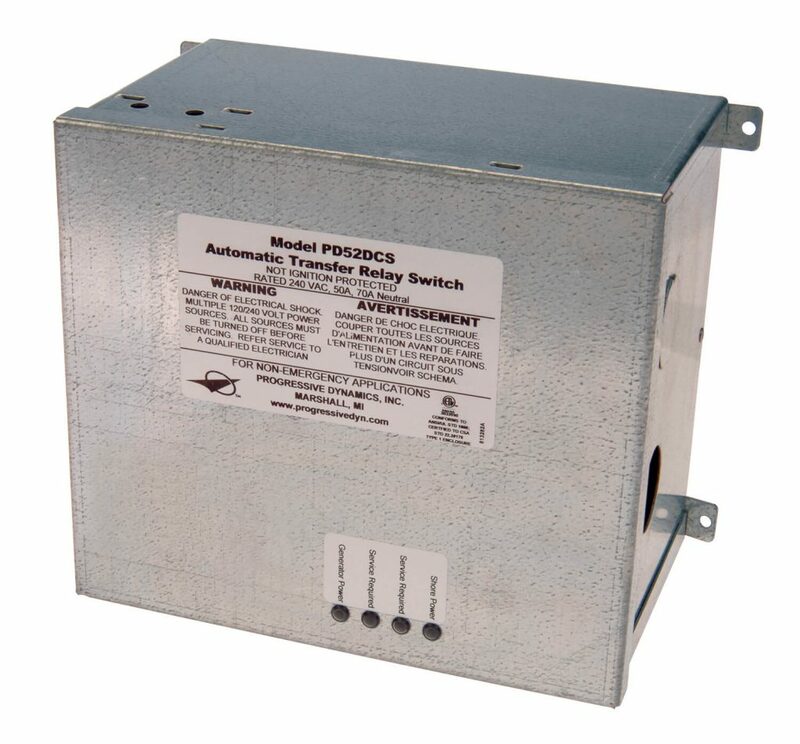 AC Detect option available for auto generator start compatibility.